Starting a blog is not as easy as it looks, especially if you want to start a successful and professional looking blog. I won’t lie to you. I can tell you that signing up is easy, yes that is, of course. But I will tell you it takes lots of determination, time and consistency to run a successful blog. I have just started blogging after I quit my job as a waitress. To be honest, I was sick and tired of the abuse. I was unhappy, and I felt like I needed to do more, it was as if my life wasn’t being fulfilled. This wasn’t how I envisioned my life after University. Well, enough of that I would really want to share the tools and tips I have used to gain my success in a short space of time and also share what pro-bloggers do in whatever niche to be successful. WORDPRESS is an online software that acts as a tool for website creation. It is one of the most powerful and easiest platforms for blogging and website content management system. There are two type of WordPress; there is the free version and the paid version. The free version is hosted by WordPress and is restricted regarding monetization, freedom and functionality. Seeing that we are trying to create a successful blog, it is vital to self-host by finding a web hosting service on your own and paying for their web space. Make sure to find a web hosting service that powers WordPress. After buying your space and domain name, you will install WordPress via your web hosting service. The two will go hand in hand. Tip: WordPress.com lets you start with a free WordPress blog. You will need to go to WordPress.org. to get installed version. However, through your web hosting service this will become easier. Self-hosting is VERY CRITICAL if you wish to make money. To be honest, It would be hard for someone to blog consistently producing great content and not reaping any benefits. Bloggers I know blog for fun tend to give up after awhile or just blog on and off. You want to be able to monetize your blog at the highest level possible. However, self-hosting will cost you, but it is very cheap, the price of a Starbucks coffee. Well, how and where do you sign up for self-hosting? You have many options, but I will tell you about the(3)top web hosting companies I know and that many bloggers use including myself. I personally use Hostgator because I never had any issues. I really don’t like problems, so I just went with Hostgator because many tech bloggers recommended it. Quality over quantity. Oh! of course, they have the WordPress hosting plan which is a must have. 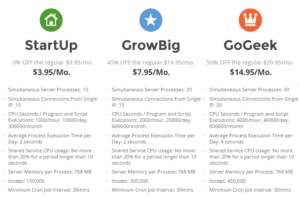 One thing I love about Hostgator is that they give you a big discount percentage than any other hosting services. During the sign up Hostgator also provides one free domain for their customer. You can now take advantage of their $3 a month offer, I do not think anyone can beat that right now. Blue host is great as well, many bloggers use Bluehost, like a ton! It is really cheap and is easy to follow. Many of the bloggers I know use Bluehost, and they love it, no problems there. Some tech bloggers will tell you it’s not much, I guess because when you’re in the tech industry requirements are different for web hosting. Regular bloggers don’t require much, but just a proper smooth web hosting that uses the WordPress hosting Plan. Siteground has been highly ranked in many polls. This highly suggests that they are a great web hosting company. I know a few bloggers who uses Siteground and is really please with their level of service. They’re also affordable ($3.95 – $14.95/month for their WordPress hosting Pan and they give a FREE domain name. Pinterest is an amazing platform for bloggers. It’s bloggers paradise. 90% of my traffic comes from Pinterest. Pinterest is the best; you can share all your content to the whole world. What makes it better and more competitive than other social media networks is that your content/pins never die, they continue to grow over time., and because of this, your blog can grow even more. Below shows my Pinterest Stats and that analysis was less than a month of me using Pinterest. I thnk that was great progress. Considering I am a new blogger with not much content. Oh, by the way, I haven’t even reached my second month of blogging yet, and I haven’t started using Pinterest or Tailwind a month fully yet. Even though I have joined the approximately a month, I wasn’t using them at all. I am happy I decided to. Check out my blog post on How I Went From 0 to 14,000 Pageviews Overnight. As of recent, I am up to 19,000 page views. Search engine optimisation (SEO) is the process of affecting the visibility of a website or a web page in a web search engine’s unpaid results—often referred to as “natural”, “organic”, or “earned” results, according to Wikipedia. In order to gain organic traffic from Google, you will need to optimise your website/blog for SEO. There is a method to this madness and believe me, SEO is not that easy. I have been studying SEO’s for 2 months and still not that good at it. However, WordPress makes it easier for you to install the plugin WordPress SEO by Yoast, that will guide you when writing your content to ensure that your keywords are planted in important parts of your post. This Plugin does the work you just need to worry about the content. Around 80% of my audience is American. Hence, I would want to write in the American English, but I think I will stick to my native tongue for now. Don’t Judge me I am Jamaican I have an excuse lol. I use Grammarly to help me write my articles better and correct my grammatical errors and improve on my vocabulary skills. As a blogger mistakes are inevitable but with Grammarly, you can make it perfect without any worries. So easy and efficient. Check out my blog post on 13 Ways For New Bloggers To Monetize Their Blog here I discuss ad networks and affiliate programs bloggers can join. PicMonkey is a charm; it’s so easy to transform your images into good looking pins and collages. I use pic monkey only because it satisfies all my needs in just one place. And I won’t forget to mention that you can get a free trial. If after the one week trial you wish not to purchase you still can use it for free. Of course, like many programs or software you have a free limited version and a full version which you pay for. PicMonkey charges you $4.99 a month or $33 a year for the paid version. However, if you are a new blogger like myself you might want to wait until real income starts pouring in before you invest in things like those, less, of course, you have the money to pay each month. I do believe you have to invest in your blog, but if you’re doing so, do so by investing in an Ebook or course that will give you loads of good advice. Email listing is a great marketing strategy to build and grow a successful blog over time. If you’re a new blogger, it would still be an excellent idea to install a free email marketing tool so you can start collecting emails now. Don’t wait until you become successful and traffic start pouring in. By that time you should have enough emails to create an email campaign and update users on your blog or sell products and services you might want to offer down the line. 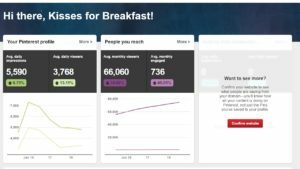 I sign up with Mailchimp because of the free version, but there are plenty other options you can use, Convert Kit and Aweber have gotten ‘EXCELLENT’ reviews. Here are the top 3 email marketing tools bloggers use. Google Analytics is a free web analytics service that tracks and report website traffic. The service is excellent and its an easy way to collect data from your site that can help you optimise your site to offer better content. They give you the information you just have to know what to do with it. SIGNUP WITH GOOGLE ANALYTICS with your WordPress plugin feature by clicking on add new. Top things that Google Analytics do. BuzzSumo is a powerful online tool that allows any user to find out what content is popular by topic or on any website. 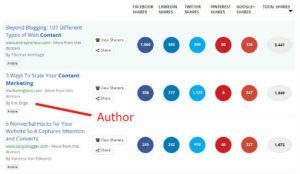 BuzzSumo is a great in helping to generate content ideas, find out the most shared content and see how competitive keywords are ranked for your blog. There are plenty of features with BuzzSumo when you upgrade to pro. Digital Marketing Institute has an excellent article that talks about 7 ways to make your content go viral. Piktochart is a popular form of content marketing that can help you simplify a complicated subject or turn an otherwise boring subject into a captivating experience. INFOGRAPHS are captivating and usually get more repins than regular pins. If your infographics don’t draw pinners attentions, this may be because it’s not engaging enough and may not contain proper or enough data to describe your product. UserTesting is a site what hires random persons to view and critique your website or app for free. Users can test your site via Desktop and or mobile option. I used UserTesting because it was a free way for me to get real feedback from real people. Asking your mum or friends is not really the best approach seeing that they may not tell you the truth in fear of hurting your feelings. This will give you an insight on what to improve on and such.